This expansive kitchen features travertine floor tiles in various sizes, wrought iron pendant lights, a custom wood hood over a Wolf range, and dark walnut-stained cabinets. The luxury kitchen has a large floor plan with a sizable center island, professional appliances (including a large built-in refrigerator), and dark chocolate cabinetry. 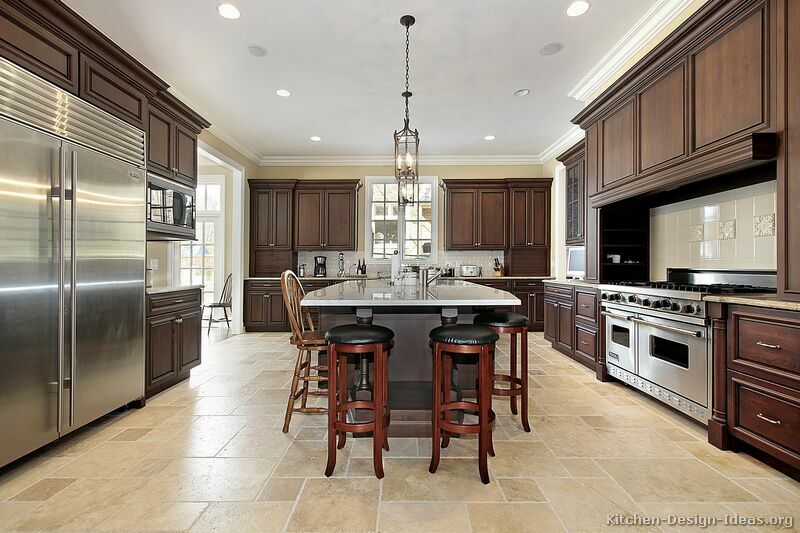 This Kitchen Photo Gallery: Traditional Kitchen Design - Dark Wood Cabinets, Walnut Color. 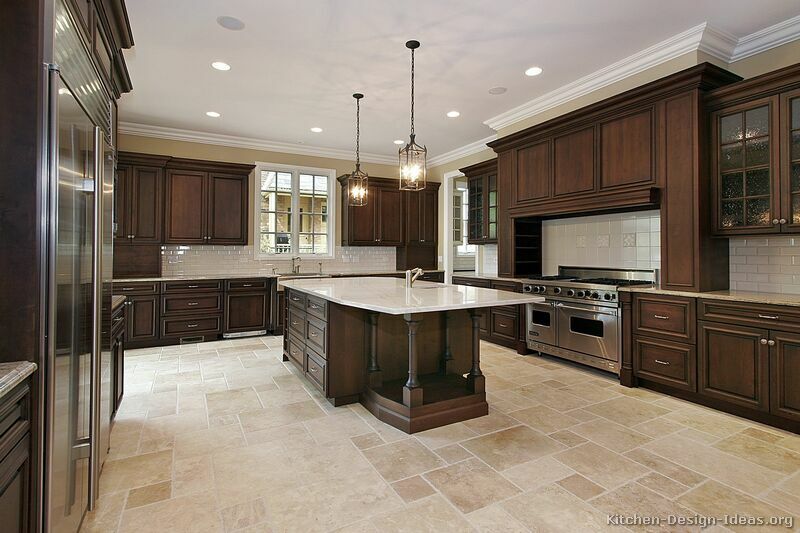 Check out the luxury kitchen design gallery for many similar photos. Even More Kitchens: We have thousands of pictures of kitchens in many styles and colors!